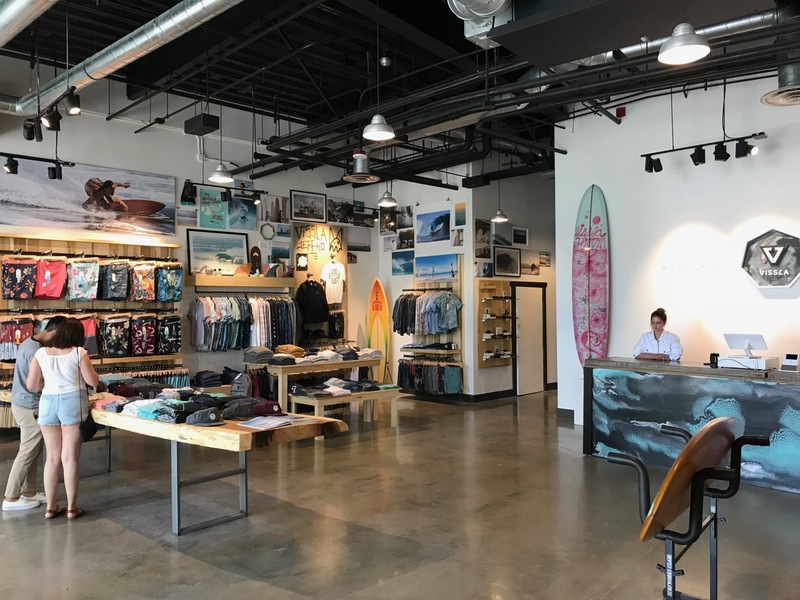 Vissla has opened a pop-up store at the oceanfront Pacific City Shopping Center in Huntington Beach. The center is best known for its restaurants and tends to attract a more upscale crowd than Main Street. 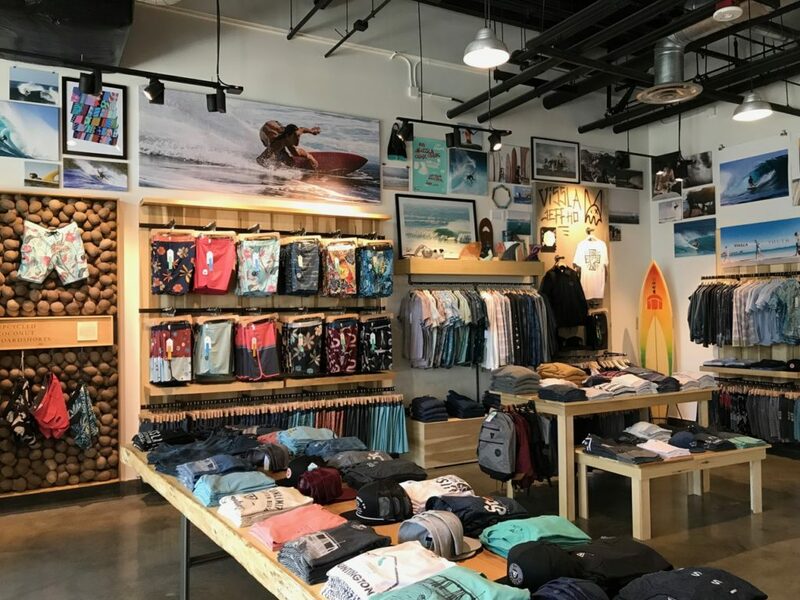 It also has high profile retailers, including H&M, Urban Outfitters, Free People and Sephora, and Hurley has a large store and event space on the second floor of the center. 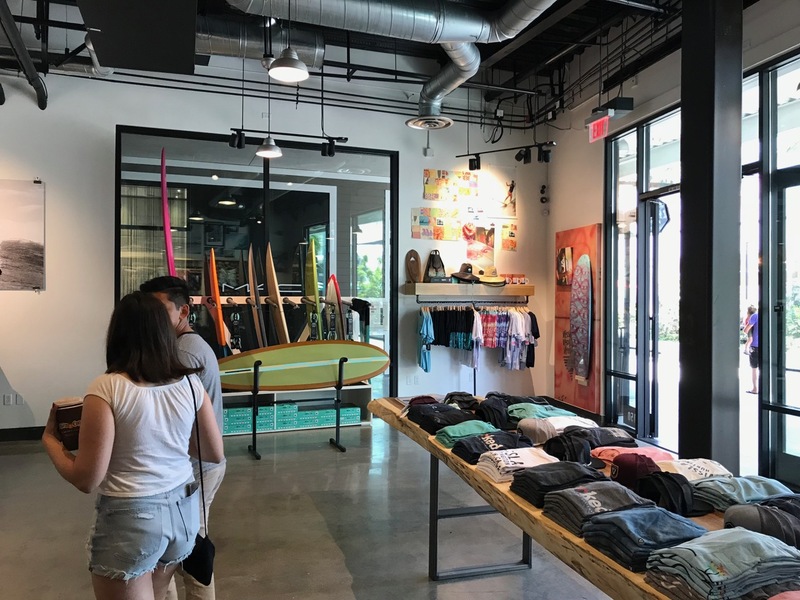 Vissla’s new location is on the first floor across from H&M and right near a walkway that leads to the beach. One other interesting note: Former longtime HSS employee Chris Saenz, who left HSS some time ago, is helping Paul manage the store. We visited the new Vissla shop and also asked Stokehouse CEO Paul Naude about the location. 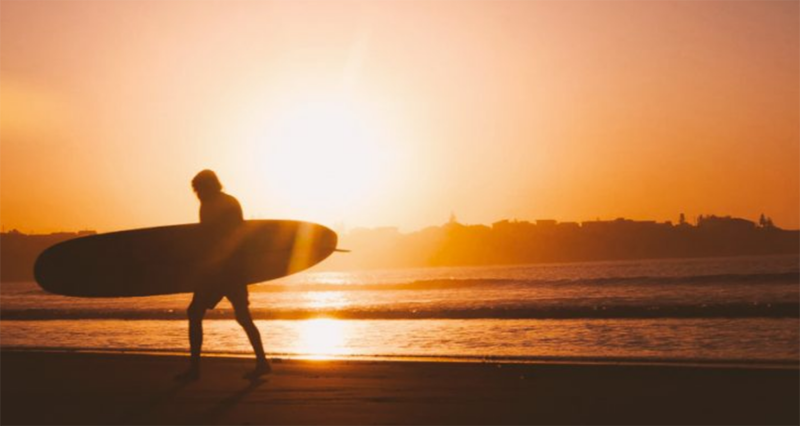 Stokehouse is home to the Vissla, Amuse Society, D’Blanc and the soon-to-launch Sisstrevolution brands. 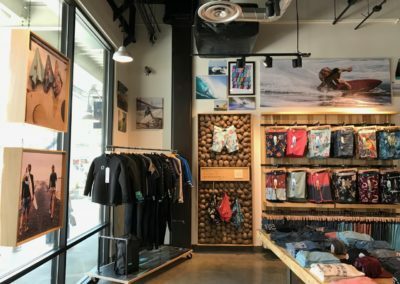 Why open a store in Pacific City? Paul Naude: It wasn’t planned. 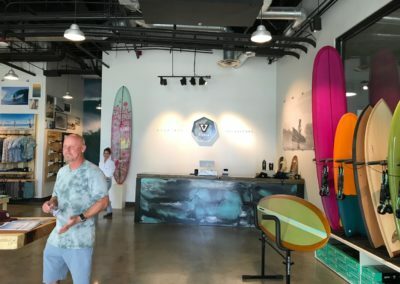 Vissla is involved in a number of art and surf related activations in Pacific City this summer and the management of the facility offered us this pop-up location. 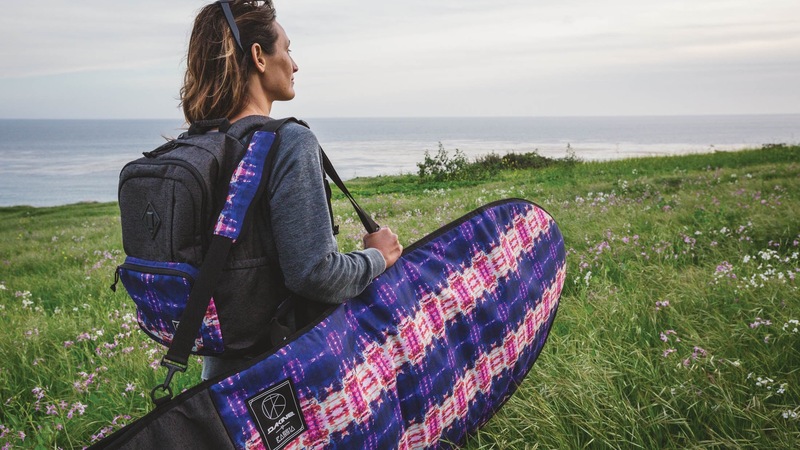 Since we’re sponsoring the Vissla ISA World Junior Surfing Championships in Huntington Beach in late October, I thought it would be a good opportunity to have a platform from which to create awareness for both the brand and the contest. Paul Naude: It’s about 1,300 square feet. 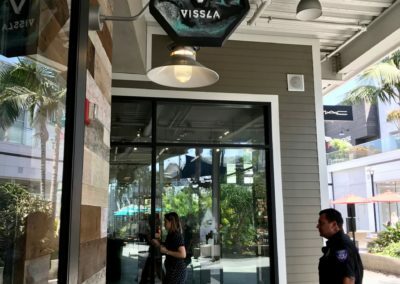 In my view, it’s the perfect size for a modern retail location. 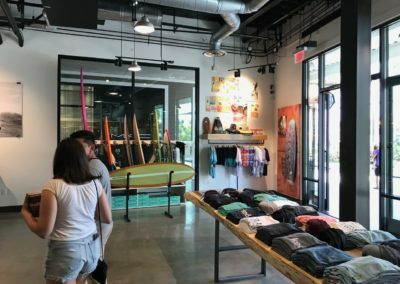 Will this be a permanent store? Paul Naude: It’s a pop-up for a few months. 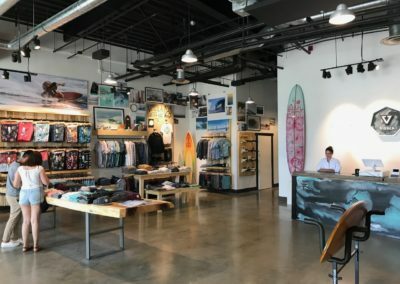 Our crew did a great job with designing and fitting out the store in five days, start to finish. It looks like more than a temporary location. At this stage we’re not thinking about anything beyond this pop-up timeframe. The store is open and airy, and not overloaded with product. 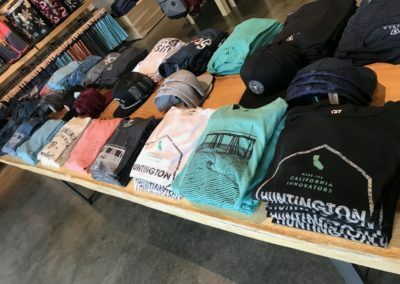 Can you describe the merchandising philosophy? Paul Naude: We like a more minimalist, modern approach for our retail stores. 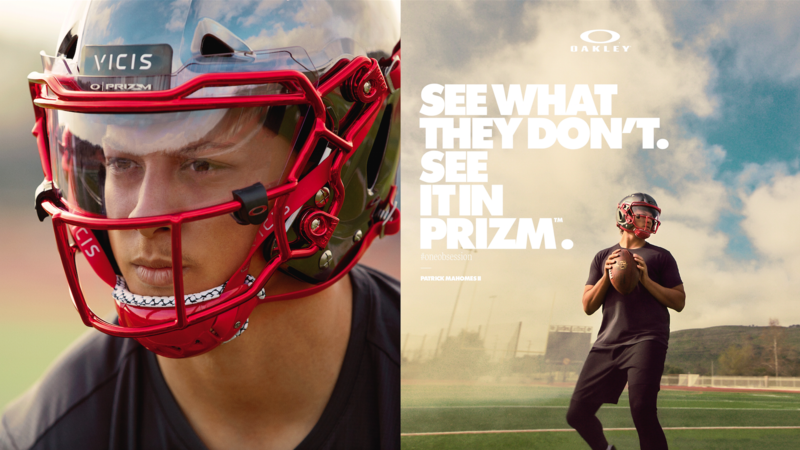 It’s easy for the customer to relate to our point of view and it allows us to showcase categories and collections. 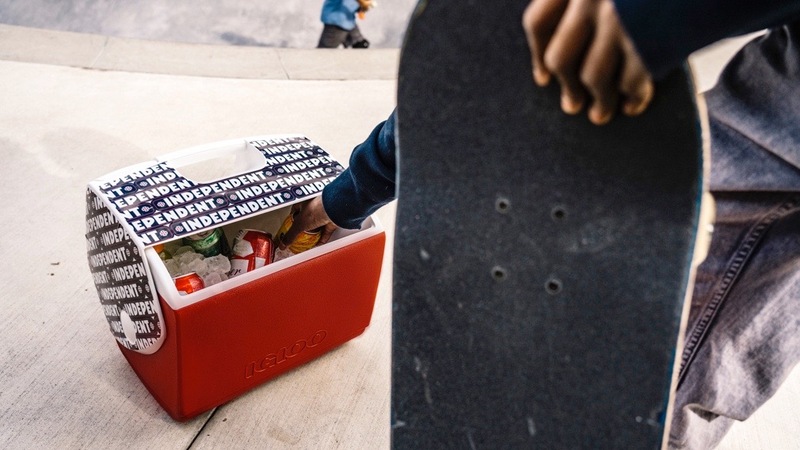 We back-stock key styles so we are able to replenish easily when needed. 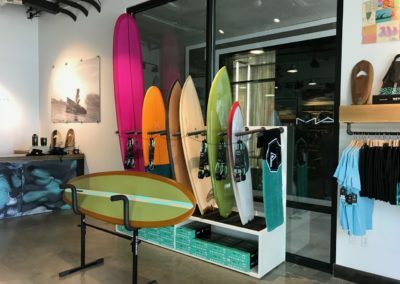 Can you update us on the locations of other Vissla or Stokehouse stores globally? Any new ones in the works? 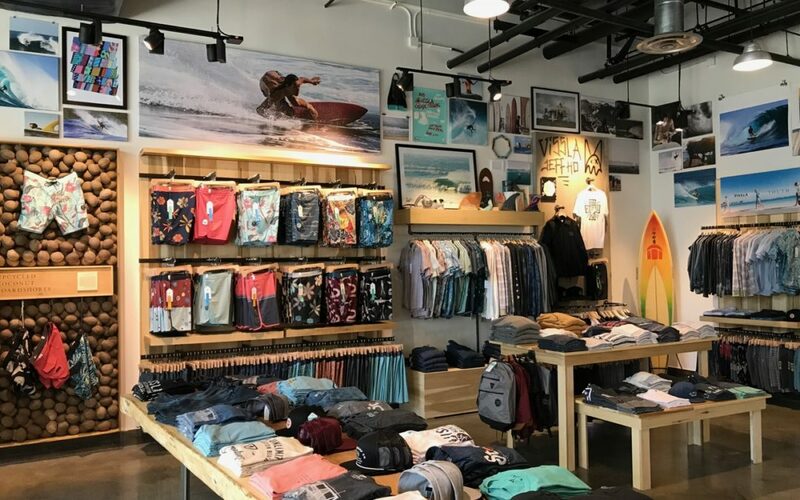 Paul Naude: In the U.S., we have Stokehouse stores in Lahaina, Maui and Honolulu both with retail partners involved – Kim Ball and Jake Mizuno respectively. 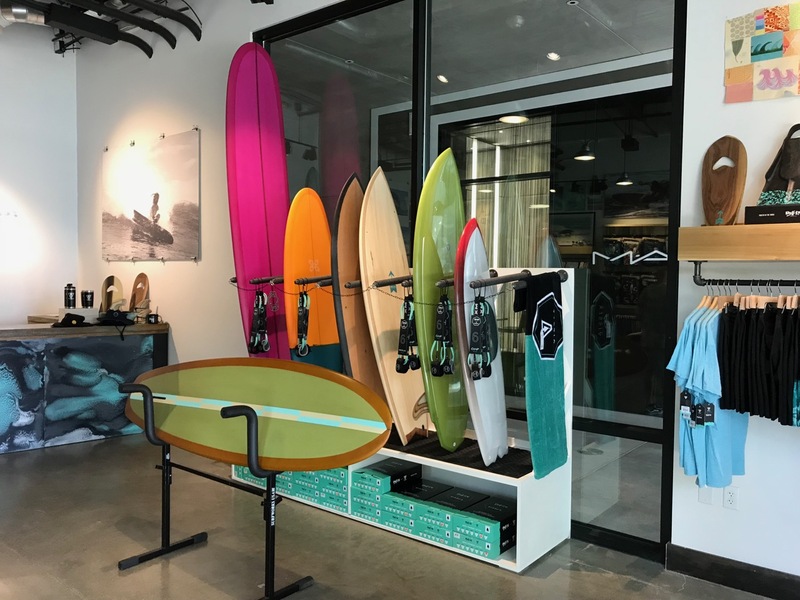 This pop-up in Pacific City is the first Vissla branded retail location in North America. 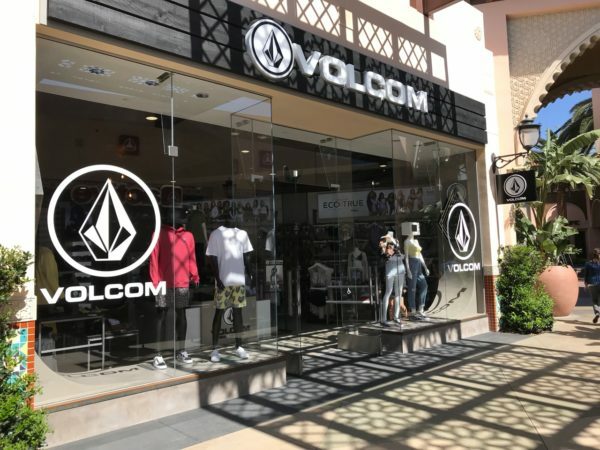 In Europe, we have a Vissla store and a Stokehouse store in Hossegor, France. 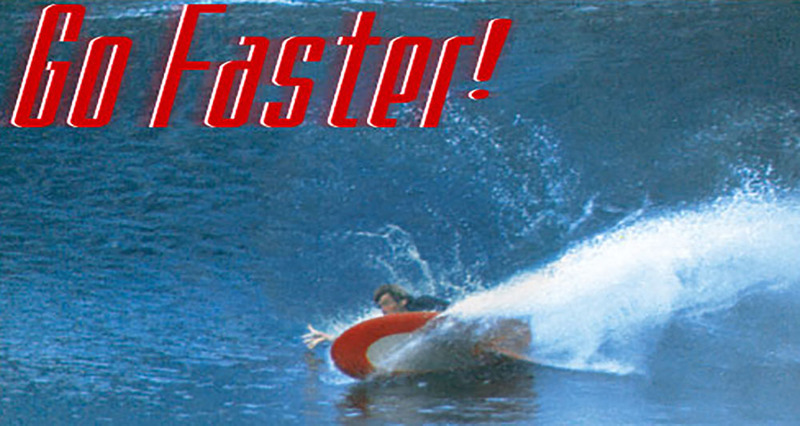 We also have a Stokehouse store in Burleigh Heads. Over the past couple of years we’ve also done a number of pop-ups for two-to-four month periods with retail partners and continue to pursue those opportunities where it makes sense. 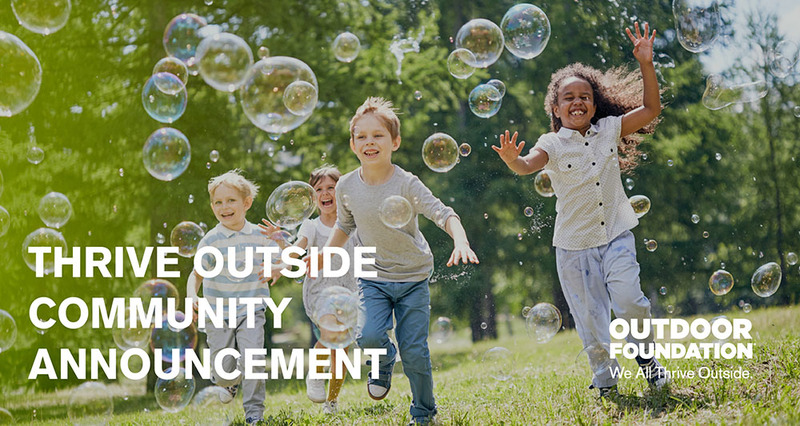 We don’t have a set goal on new store openings but we are working with retail partners on securing a few more locations in the key markets of the USA, Europe, Australia and Asia. 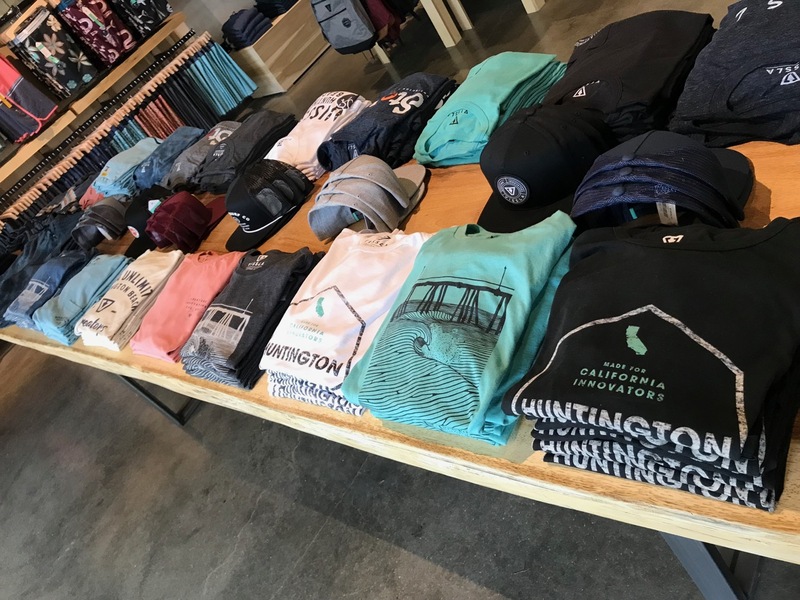 Are you hearing any feedback from other nearby retailers about the Pacific City location? 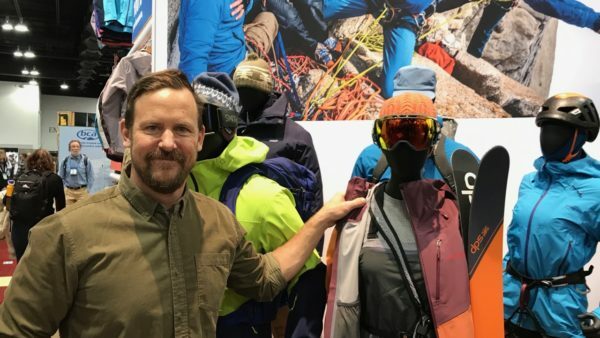 Paul Naude: It all happened rather quickly and we advised our retailers in the area as soon as we could. 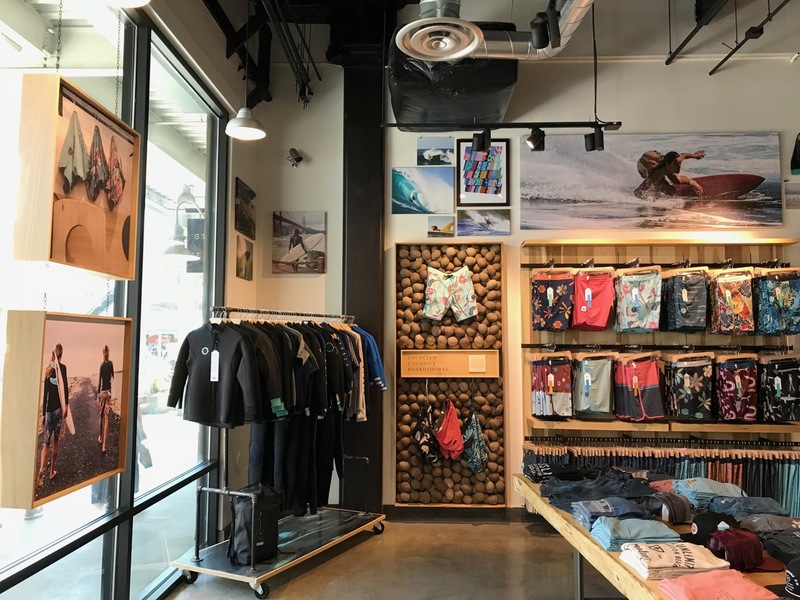 Pacific City is a different market and I believe that this pop-up exercise, along with the Vissla World Juniors, will be brand enhancing, which should benefit everyone. 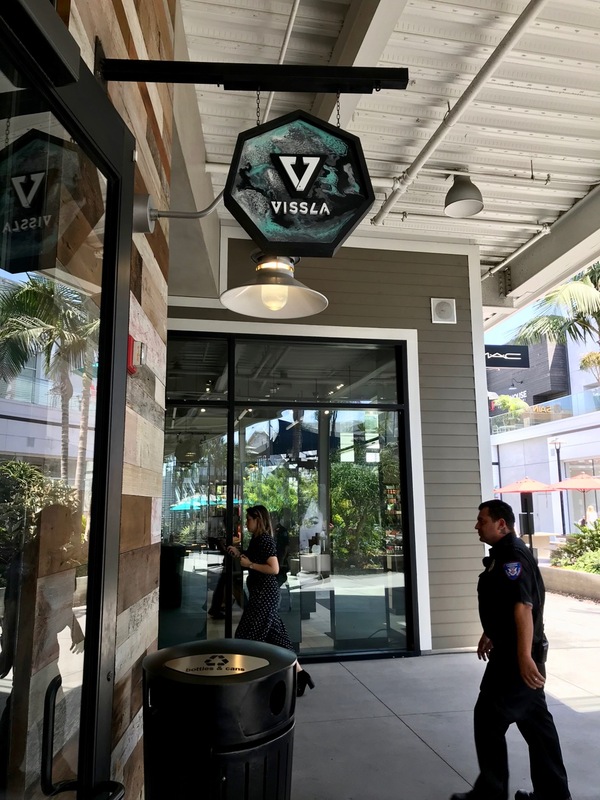 See photos of the Vissla store below in the slide show. Click on the photos to enlarge them.